In Bahrain, demonstrations have been held against the regime\'s violent crackdown and the killing of pro-democracy protesters. In the predominantly Shia village of Bani Jamrah in the northwest, people protested peacefully over the murder of two protesters by the regime forces. Carrying pictures of the slain protesters, they formed a human pyramid at the end of the rally and waved the Bahraini flags. The village has been the scene of a brutal crackdown, with regime forces opening fire on unarmed protesters on many occasions. Earlier on Friday, the police fired tear gas and stun grenades at anti-regime protesters on the island of Sitra, south of the capital Manama. Since 2011, demonstrations against the al Khalifa regime have been held almost every day in Bahrain. Troops from Saudi Arabia and the United Arab Emirates were called in to assist the Bahraini regime in its crackdown on protesters. [26 May 2012] US accomplice to Bahraini regime's crimes - English The Bahraini regime forces backed by troops from Saudi Arabia have once again attacked protesters in the tiny Persian Gulf littoral state. Security forces on Friday fired teargas and sound grenades at the demonstrating crowds in several towns and villages around the Bahraini capital, Manama. Clashes then erupted between government forces and the pro-democracy protesters demanding the ouster of the Al Khalifa regime. Several people were injured during the demonstrations. The protesters also voiced their anger at the US government for its support of the Manama regime. Anti-American sentiments are high in Bahrain after Washington announced earlier this month that it would resume arms sales to Bahrain. However, Bahraini opposition groups and activists condemned the decision, saying it could encourage further human rights violations in the Persian Gulf country. Another Bahraini activist has fallen victim to the Al Khalifah regime\'s crackdown on dissent. This time, regime forces have shot and killed a 17-year-old. Viewer discretion is advised as the footage you\'re about to see contains graphic images. Reports from the tiny Persian Gulf kingdom say Ali Khalil al-Sabbagh was shot in the head in Bani Jamrah today. He had previously been arrested by the regime. On its Twitter account, Bahrain\'s Interior Ministry accused Sabbagh of being a terrorist and claimed he was trying to plant a bomb. The Bahraini security forces have also arrested Sabbagh\'s father. After news of the teenager\'s death broke, Bahrainis took to the streets across the island and held demonstrations. A Bahraini court has sentenced 10 anti-regime protesters to jail as part of Manama\'s continued crackdown on dissent. Nine protesters were sentenced to terms of three-months to one-year in prison for taking part in protests against the al-Khalifah regime. Another protester was also given a six-month jail term for an alleged attack on a police station. The court had charged him with aggression against police, possession of petrol bombs and taking part in an unauthorized protest aiming at undermining public security. Meanwhile, tensions in the small Persian Gulf island nation continue to flare as police raid the headquarters of the main opposition bloc, called al-Wefaq. No word yet on the fate of those inside the H-Q, as regime forces refuse to allow anyone in or out of the building. Al-Wefaq\'s lawyer and the group\'s senior members have also been prevented from entering the building. The complex houses a museum that documents the Bahraini regime\'s human rights violations. [10 July 2012] NATO after regime change in Syria Webster Griffin Tarpley - English NATO is not after a peaceful solution for the Syrian crisis but wants there to be "continuing violence and civil war" ultimately leading to an armed attack followed by "regime change," says an analyst. US Secretary of State Hillary Clinton has warned Russia and China over their support for Syria, saying they "will pay a price" for their actions. During a so-called "Friends of the Syrian People" meeting in Paris on Friday, Clinton launched a scathing attack on Moscow and Beijing and called for imposing pressure against both nations to drop their support for Damascus. "I do not believe that Russia and China are paying any price at all - nothing at all - for standing up on behalf of the [Syrian President Bashar] Assad regime." "The only way that will change is if every nation represented here directly and urgently makes it clear that Russia and China will pay a price," Clinton warned. Russia and China boycotted the latest "Friends of the Syrian People" meeting as one-sided. Press TV has talked with author and historian, Dr. Webster Griffin Tarpley to further discuss the issue. Bahrain\'s regime forces crack down on protesters who are mourning for a 17-year-old youth killed by government troops a day earlier. The protesters have held a funeral for Ali Khalil al-Sabbagh in the village of Bani Jamrah, west of the capital Manama. Sabbagh was shot dead by regime forces there on Tuesday. He\'s the latest victim of the ongoing crackdown by the Al Khalifah regime on dissent. Police, however, say he died after a bomb he was holding in his hands, went off. They also claim that he was wanted for criminal offences. Bahrain has been the scene of pro-democracy rallies for more than two years now. The Al Khalifah is responding with heavy-handed tactics which have led to scores of deaths and thousands of detentions. Fresh crackdown in Bahrain. Regime forces have arrested yet another prominent female rights activist and lawyer there. Amira al-Bahrani was abducted during a nighttime raid on her house in the city of Sanabis. We do not have any information about why she was arrested or her whereabouts. 7 other activists were also detained by regime forces in separate raids in A\'ali area near the capital Manama. No further details have been provided about those raids either. The Al Khalifah regime is under fire for its harsh crackdown on rights activists and pro-democracy protesters. The kingdom has been gripped by anti-monarchy rallies since February 2011. In Bahrain, tens of thousands of demonstrators pour onto the streets to protest against the regime\'s crackdown on dissident. The march was called by Bahrain\'s main opposition group al-Wefaq. The protesters called for the release of political detainees. Ahead of the rally, al-Wefaq issued a statement accusing the Al Khalifa regime of failing to implement recommendations made by an inquiry commission. Al-Wefaq has also condemned the continuation of arrests, political trials and discrimination against the Shia majority in the Persian Gulf island. Bahraini authorities have stepped up their crackdown on anti-regime activists over the past few weeks. Several people have been sentenced to lengthy jail terms while other activists have received life sentences. Bahraini regime forces have attacked anti-government protesters at a demonstration held to condemn the repression. Saudi-backed Bahraini forces fired tear gas to disperse the protesters in the village of Daih, west of the capital Manama. On Friday, tens of thousands of demonstrators took to the streets to protest against the regime\'s crackdown. The demonstration was called by Bahrain\'s main opposition group, al-Wefaq. Ahead of the action, al-Wefaq issued a statement accusing the ruling Al Khalifah regime of failing to implement the recommendations made by a commission of inquiry. Al-Wefaq also condemned the continued arrests, political trials, and discrimination against the Shia majority in the Persian Gulf island nation. Press TV has conducted an interview with Saeed Shahabi, with the Bahraini Freedom Movement, in London about the trials of anti-regime protesters by the Bahraini regime. Tens of thousands of Yemenis have rallied across the country, denouncing regime forces' deadly crackdown on peaceful protests. They also slammed the US for backing the dictatorial regime of outgoing ruler Ali Abdullah Saleh. 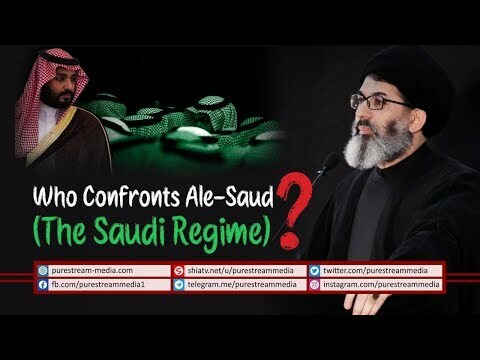 Ayatullah Isa Qasem is under pressure by the Bahraini regime. They are revoking Ayt. Isa Qasem\\\'s Bahraini citizenship. The Bahraini regime is backed by the US & UK. Shame on these so-called developed countries for supporting the rogue and despotic Bahraini regime.